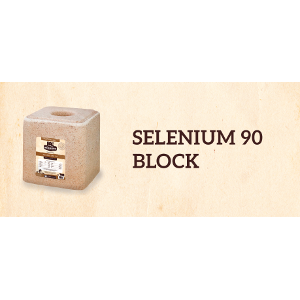 Our Selenium 90 Block is nature’s perfect balance to nourish your livestock. Our block’s sea salt comes from an ancient deposit and has a broad spectrum of trace minerals. Animals instinctively crave salt that has naturally occurring trace minerals. Try it in your herd: put any other salt block next toSelenium 90 Block and see which one your animals choose.